Increasing interest exists in understanding the factors that explain knowledge transfer capacity (KTC) at the societal level. In this paper, the authors posit that national culture may explain the differences among countries in their knowledge transfer capacities. The authors adopt House and colleagues’ (2004) national culture taxonomy as the theoretical framework to derive and test eighteen hypotheses relating national culture values and practices to societal KTC. KTC correlates positively with gender egalitarianism values, uncertainty avoidance practices, and future orientation practices. KTC also correlates negatively with uncertainty avoidance values, future orientation values, institutional collectivism values, in-group collectivism values, humane orientation practices, in-group collectivism values and practices, and power distance practices. Further analysis using gross domestic product (GDP) as a control variable revealed that only humane orientation practices influence KTC. The research findings are discussed, research limitations are identified, and implications are drawn. Knowledge management (KM) poses a major challenge for the societies that aim at developing and sustaining knowledge-based economies. People’s skills, knowledge and creativity have become increasingly important in the creation of economic value (Stewart, 1997, p. 49). It’s almost impossible for a society to achieve sustainable growth without constantly creating and transferring knowledge. Societies, however, may vary in their capabilities to create and transfer knowledge. Differences in national culture may create barriers to effective knowledge transfer (Banerjee & Richter, 2001, p. 13). Culture is a collective programming of the mind that discerns the members of one group of people from another (Hofstede, 1991, p. 5) and shapes values, beliefs, assumptions, expectations, perceptions, and behaviors. Societies differ significantly in their cultural profiles (e.g. House, 2004; Hofstede, 2001; Nicholson & Stepina, 1998). Research indicates that differences in societal cultures influence a wide variety of social phenomena (House et al., 2002; Hofstede, 1983). Culture has been recognized as a major barrier to leveraging knowledge at the organizational level (e.g., Abou-Zeid, 2002; Gupta & Covindarajan, 2000; De Long & Fahey, 2000). Culture may also influence KM, e.g., knowledge creation, transfer, and application, behavior through shaping assumptions regarding identifying the knowledge that is important to manage, determining how knowledge is distributed and utilized in an organization, creating the context for social interaction that determines how knowledge is used in particular situations, and forming the processes by which new knowledge is applied (De Long & Fahey, 2000; Chaminade & Johanson, 2003). The effectiveness of knowledge transfer within and among entities, such as countries, is believed to be affected by the degree of cultural heterogeneity among the entities involved (Abou-Zeid, 2002). Most of KM research, however, has focused mainly on the influence of culture on intra-organizational and inter-organizational knowledge transfer. Spicer (1997) posits that knowledge can and should be examined at the level of a country’s culture. 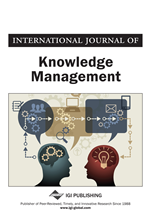 Although organizational cultures are believed to reflect societal cultures (House et al., 2004, p. xvi), the question that has yet to be answered in the cross-national KM literature is whether national culture influences knowledge transfer-related factors such as knowledge transfer capacity (KTC). KTC, i.e., the capability of people and institutions in a society to exchange knowledge with each other and with others in other societies, can pose significant challenges to effective knowledge transfer (Parent et al., 2007). Managing such challenges requires an understanding of knowledge transfer capacities at the societal level as well as the factors that may affect these capacities. This research explores the influence that national culture may have on societal KTC. The underlying assumption is that national cultures are malleable rather than stable, and government policies and actions are in fact an important source of influence on cultural change (Li & Karakowsky, 2002). The remainder of this paper is organized accordingly. The research background is described next, followed by the research model and hypotheses, research methodology, research results, discussion of the findings, research limitations and future research, and the paper ends with conclusions and implications.